Thursday April 25, 2019 10:00 AM Join us for a fun and engaging Storytime! We will feature a new children's book and a favorite with a simple activity to follow. 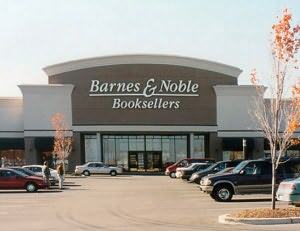 Meet us in the Barnes & Noble, Jr. Department every Thursday at 10:00AM! Monday April 29, 2019 11:00 AM Little ones 6 to 24 months old are invited to bring their caregivers for an engaging Storytime designed just for them. Tiny tots will enjoy a brief story, nursery rhymes and finger-play songs! Thursday May 02, 2019 10:00 AM Join us for a fun and engaging Storytime! We will feature a new children's book and a favorite with a simple activity to follow. Meet us in the Barnes & Noble, Jr. Department every Thursday at 10:00AM! Monday May 06, 2019 11:00 AM Little ones 6 to 24 months old are invited to bring their caregivers for an engaging Storytime designed just for them. Tiny tots will enjoy a brief story, nursery rhymes and finger-play songs!